We invite you to give us feedback, ask questions or offer material for our site via this form. 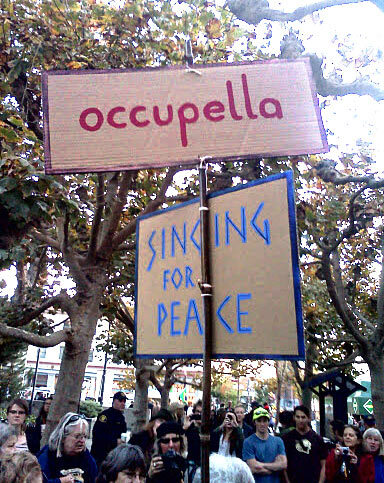 And do let us know if you would like Occupella to sing at your event. Texts for parodies or song re-writes that are specifically related to the Occupy Wall Street movement. Works in progress. Let us know if you’d like help to improve, finish or arrange your material. Make sure to identify your material and what help you’d like.